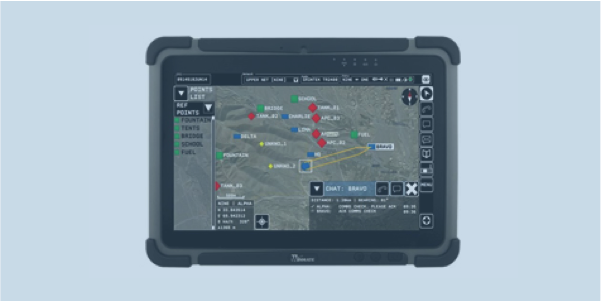 CommandPoint allows rapid and intelligent control of the battlefield for company and platoon-level commanders. Positions of RAPTAWC devices and other points are over-laid on an image and vector map of an area and combined with easy-to-use chat messaging features. CommandPoint is optimized to run on a touch-screen tablet PC or laptop computer running Windows.